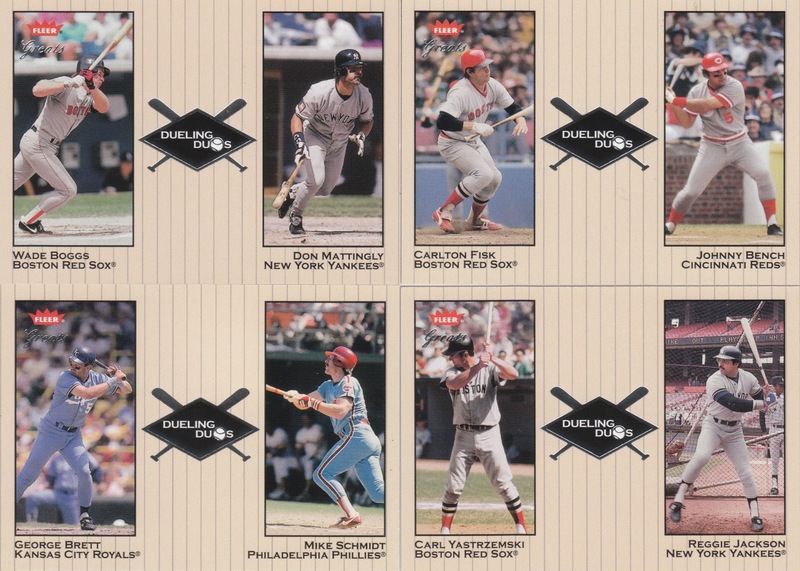 The Daily Dimwit: October Group Break - Box #1 - 2002 Fleer Greats of the Game! 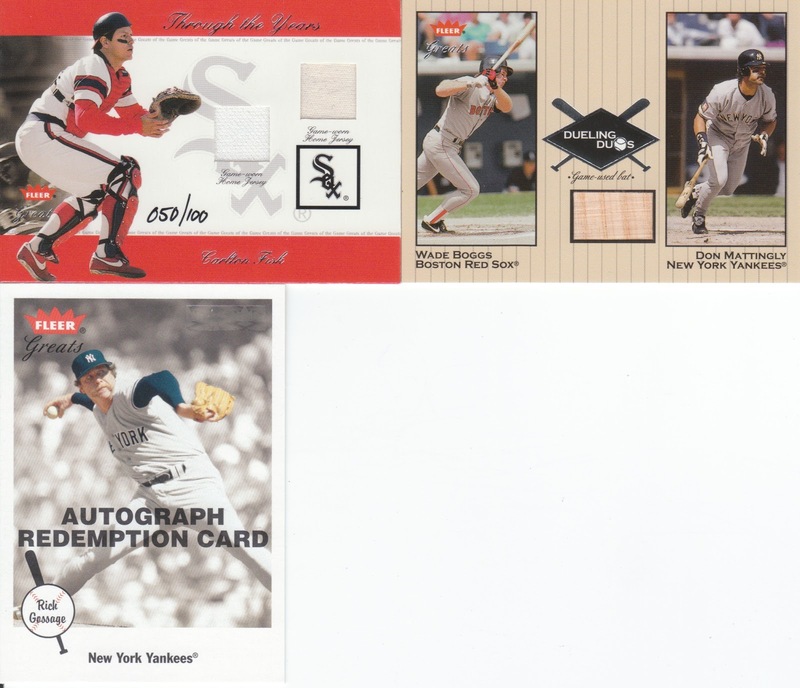 October Group Break - Box #1 - 2002 Fleer Greats of the Game! Here we go everyone! You know how it goes! A little on the plain side... but a cool concept nonetheless... some great duos there... all will be randomized to their recipients. A very nice /100 Fisk dual relic (even with a slightly beat up corner)... a nice Mattingly relic and a craptastic redemption. Ok, so here's the question... does the relic go to the Red Sox or the Yankees... the back clearly shows it's a Mattingly relic, and since the Red Sox belong to a good friend of mine Matt, I called him up and discussed the situation... not revealing the teams involved or anything, he leaned towards randomizing. I then let him know what it was and he overwhelmingly said to send it to Kirk as part of the Yankees stack. With the back so plainly showing it being a Mattingly card, we both think it's the right thing. Thanks Matt! Much obliged gentlemen. Oddly enough I was going to suggest giving it to m eas well. No need to random off the base version of the insert, please make sure Matt gets it. Nice hit for me! YAY!!! 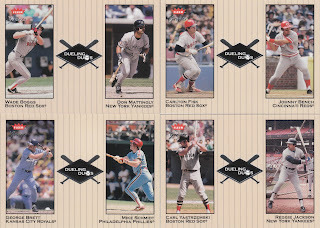 Ironic the other cards in the break of Fisk have him as a BoSox but the hit is a ChiSox. An my opinion (if it matters) - that bat relic should go to the Yankees. Are there two on there? Sure. But usually when there is two, you have a relic of each player. This is definitely a Mattingly relic, so I think the Yankees get it.